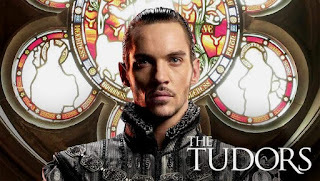 Henry VIII in the tudors, It's good go watch it. getting annoyed with Persona 5 after Okumura's palace, literally the worst) But I'm starting to run into a classic student problem, I'm running out of things to watch. Seriously I've finished the whole of the series the Tudors. (costume drama about Henry VIII it's great go watch it) Now I'm watching being human and I'm already halfway through it, and I have no idea what to watch next, given game of thrones has finished (Dat finale doe) I'm going to have a serious lack of things to watch this autumn and autumn has the best telly normally! 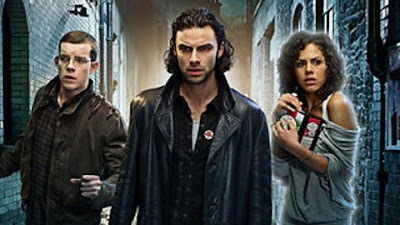 Havent been watching bakeoff I suppose I should watch some of that. But anyway on with today's swatch. 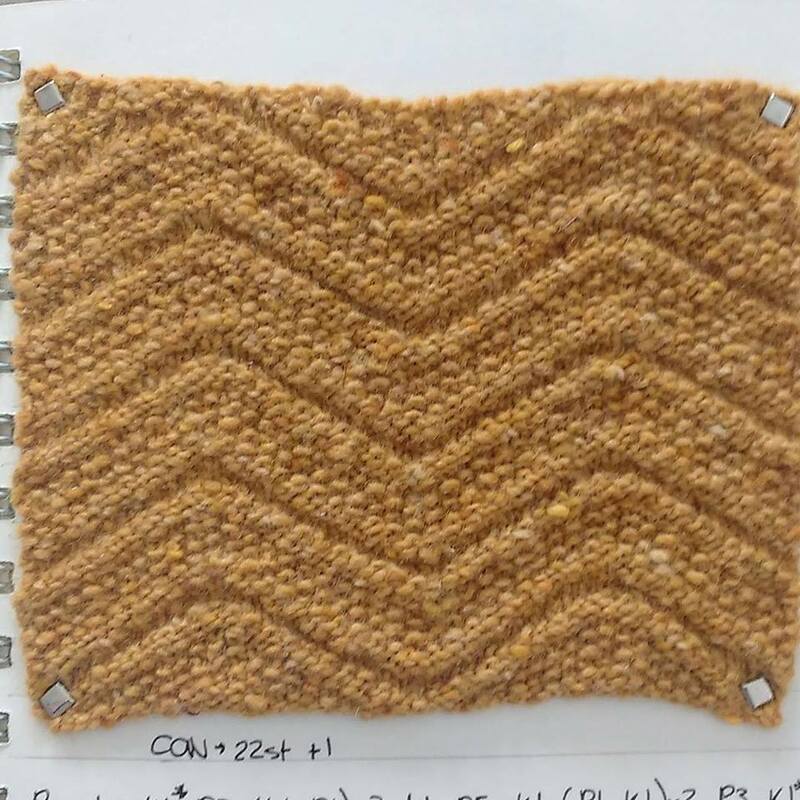 Seeded chevron is a very pretty pattern but it's hard to call it a stitch pattern. It's more like a combination of stitch patterns it uses seed stitch, purl welts and plain old stockinette to make an overall very attractive pattern. It's personally one of my favourites but it is a bit of a pain to knit because seed stitch is time intensive. 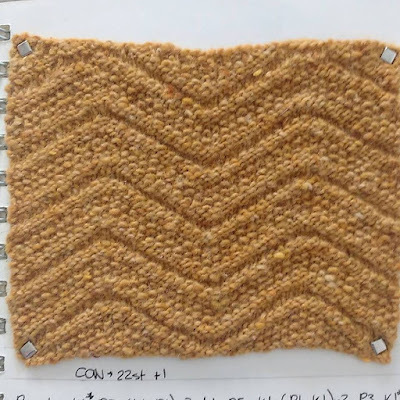 The pattern is technically reversible, but on one side the seeded chevrons are bordered by welts, and on the other they are bordered by stockinette. Personally I prefer the welted border but both sides are attractive. The pattern is pretty long and complicated but stick with it. Phew that was a long pattern to write out. I'm also not entirely sure you can find this one online anywhere but a smart knitter might be able to replate it from the image. Anyway I'm off now, good luck with the pattern it's very pretty once you finish it so it's well worth the difficulty. Happy Knitting!